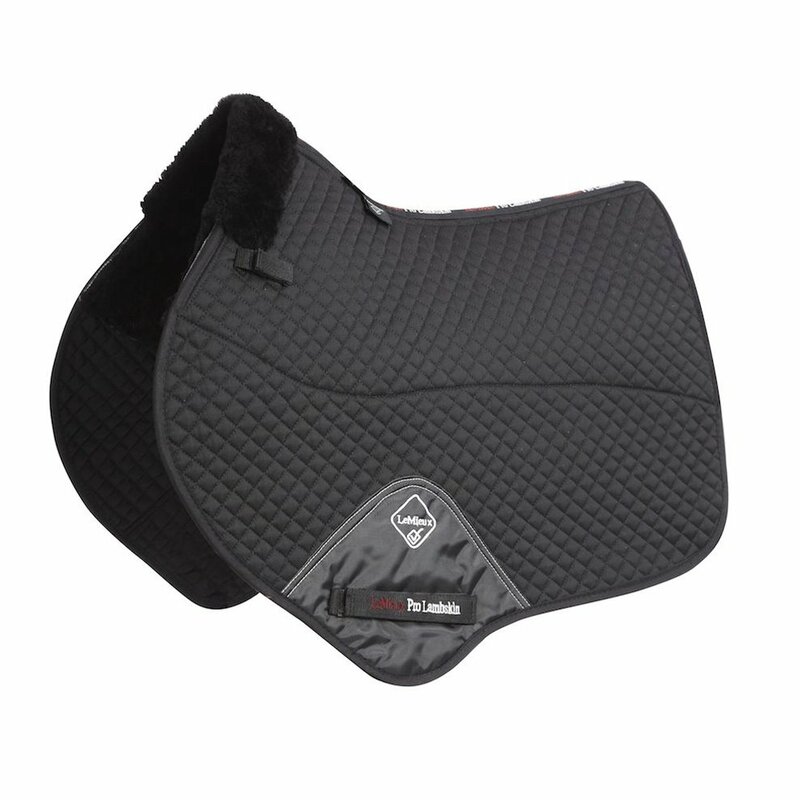 This Half Lined Jumping Square from LeMieux has been designed for more forward cut jumping saddles. With a less bulky stream lined square shape, the Jumping Square is half lined with high density Merino wool. The girth protection area helps to cushions and protect the top of the girth, preventing staining and wear and tear. Comes in a swan-neck design with D-Ring short tabs and a clear spine. Full size is 17 - 18 inch. There are currently no questions for LeMieux Lambskin Close Contact Jumping Square Half Lined - be the first to ask one!